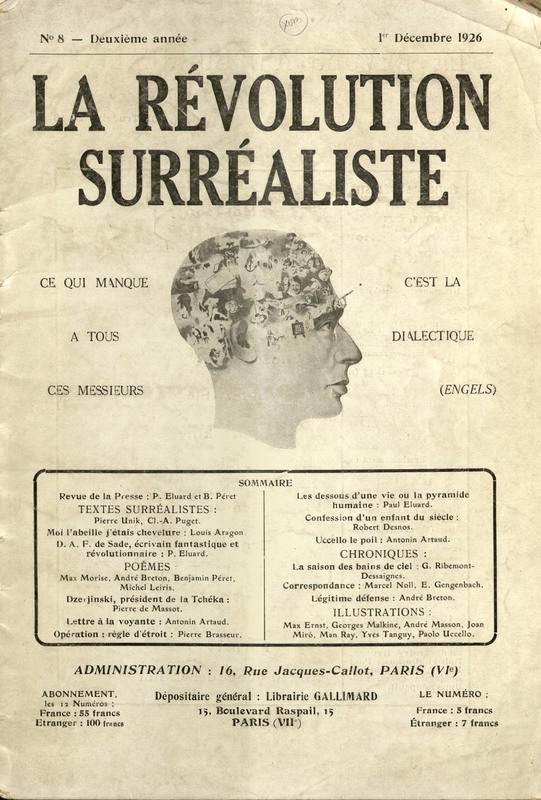 The surrealist movement began in Europe in the years immediately following World War I. Surrealist artists and writers strove to create works that were illogical, or that expressed the unconscious mind, often through use of surprising elements and unexpected juxtapositions. 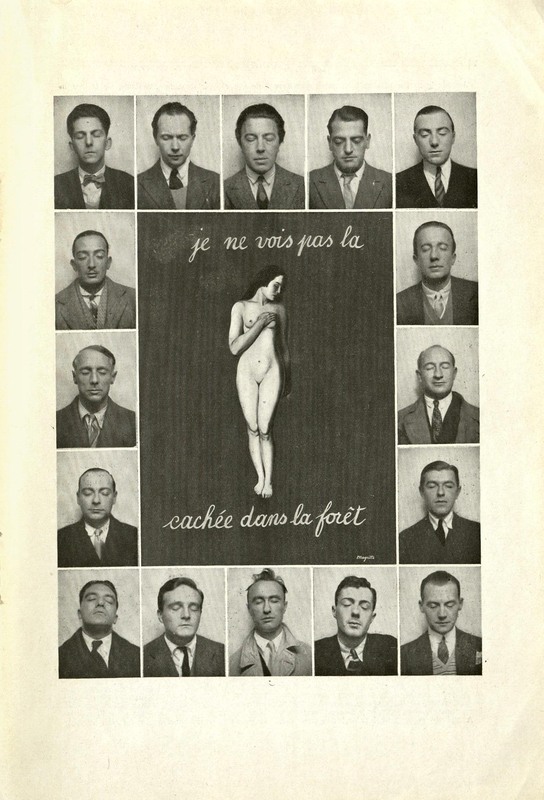 While some of its most famed members are artists like Salvador Dalí, René Magritte, and Max Ernst, one of the movement's co-founders was André Breton, a French writer and poet. 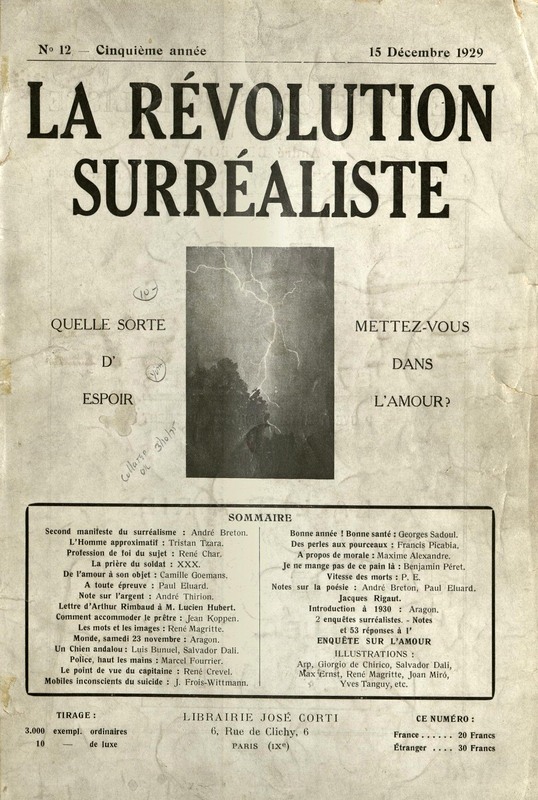 Breton wrote the "Surrealist Manifesto" in 1924, and was editor of two surrealist magazines produced in Paris in the late 1920s and early 1930s: La Révolution Surréaliste (The Surrealist Revolution) and Le Surréalisme au Service de la Révolution (Surrealism in Service of the Revolution). 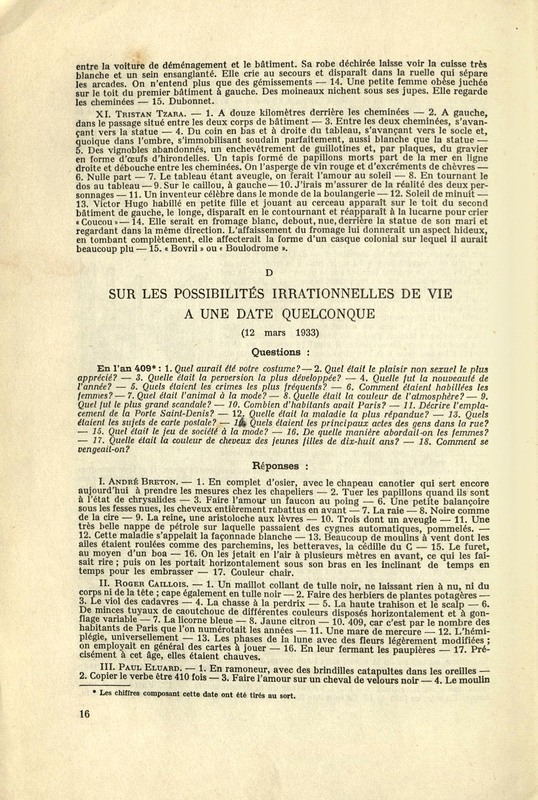 In print from 1924-1929, the format and layout of La Révolution Surréaliste was modeled on a conservative scientific magazine, though the content was intended to be both revolutionary and shocking to readers. 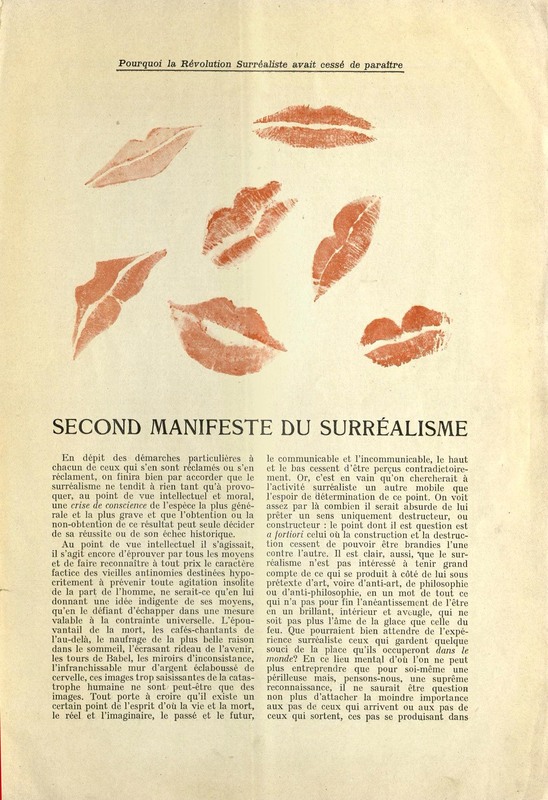 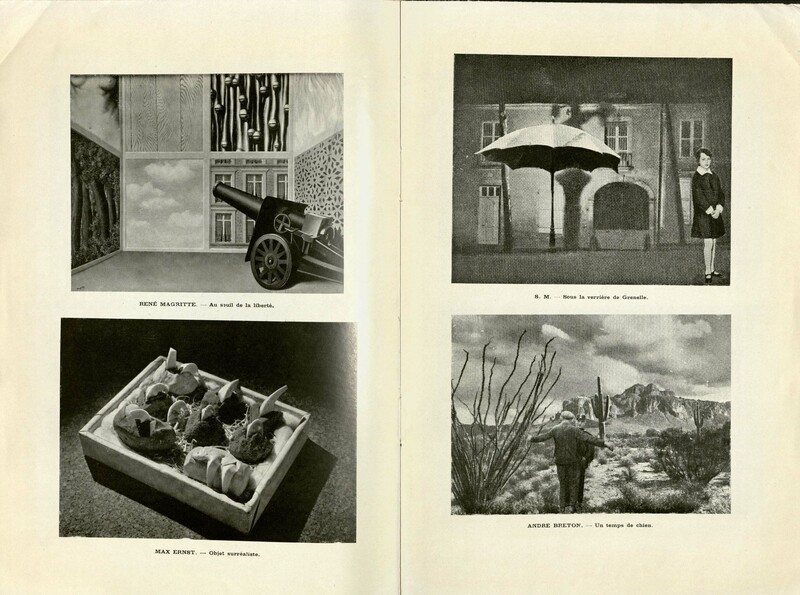 It primarily featured essays, poems, and other literary works, but also included original and reproduced surrealist artwork. 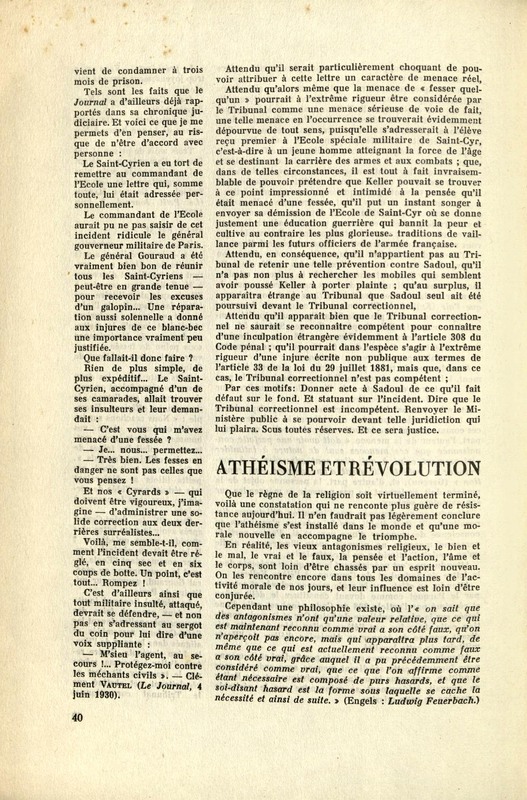 The subject matter of each issue ranged from the rise of atheism, violence, socialism, suicide, sexual perversion, international politics, and more. 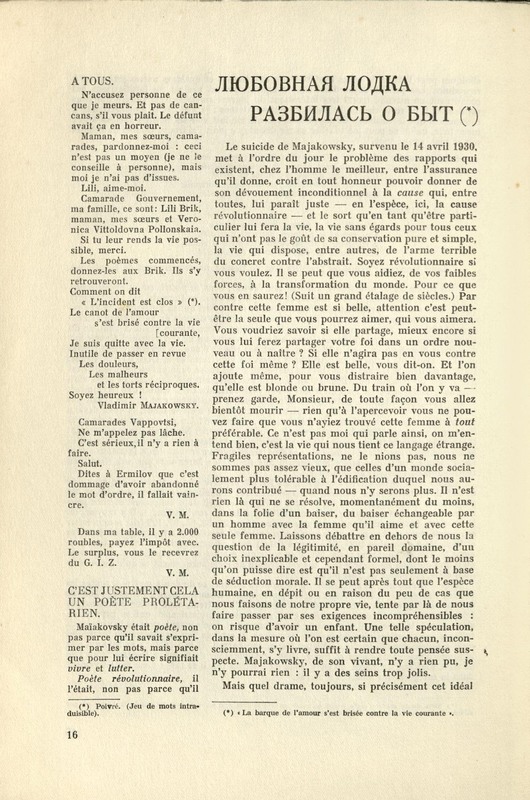 The twelfth and final issue of La Révolution Surréaliste was issued in December 1929. 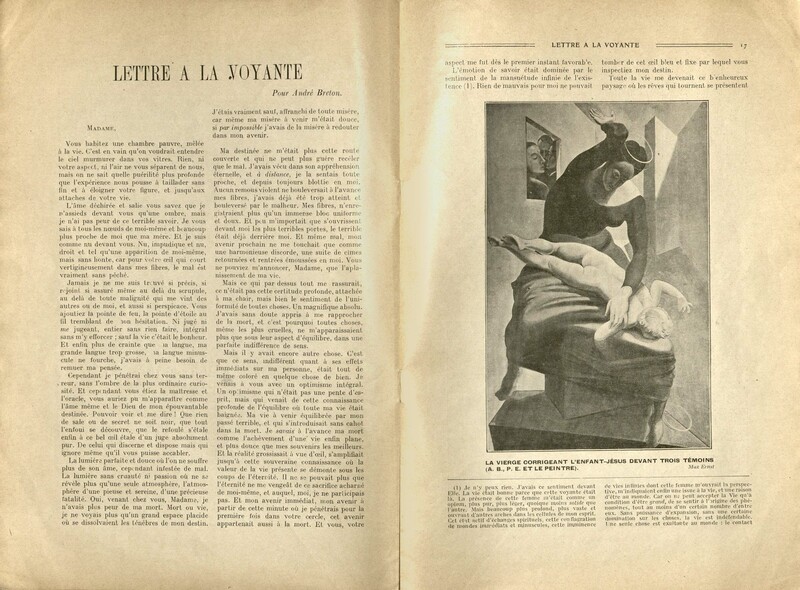 It includes the full script of Luis Buñuel's "Un Chien Andalou," a silent film Buñuel released that same year with Salvador Dalí. 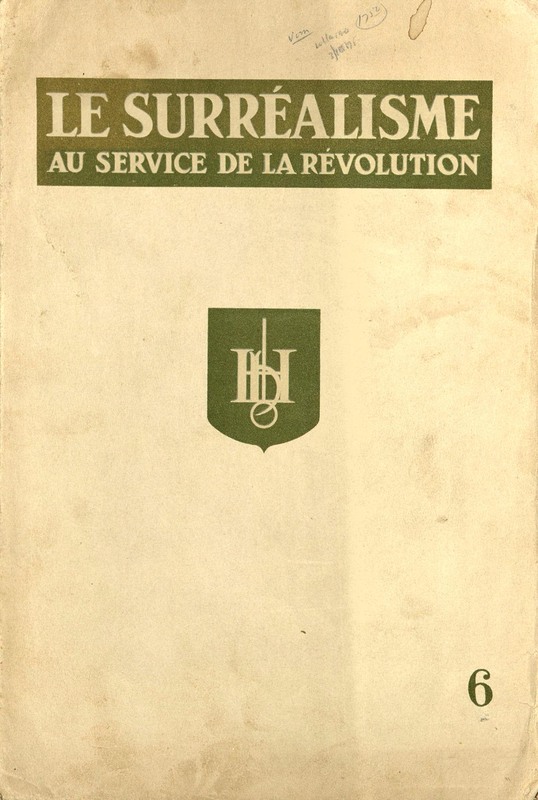 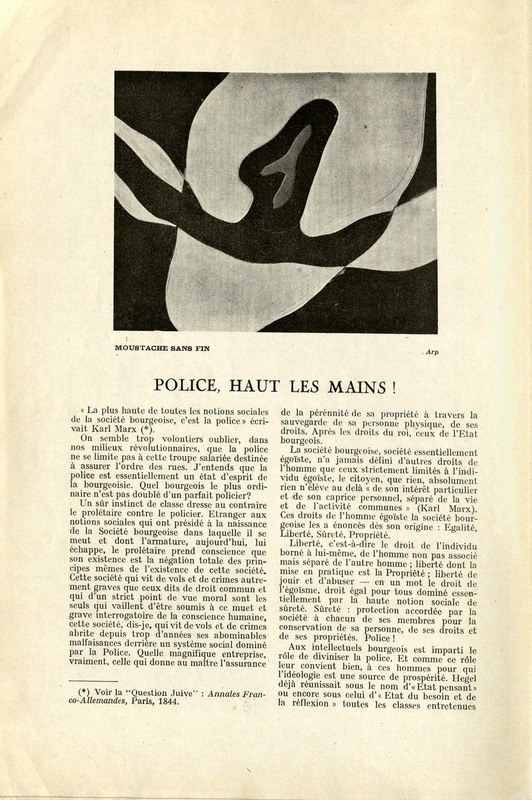 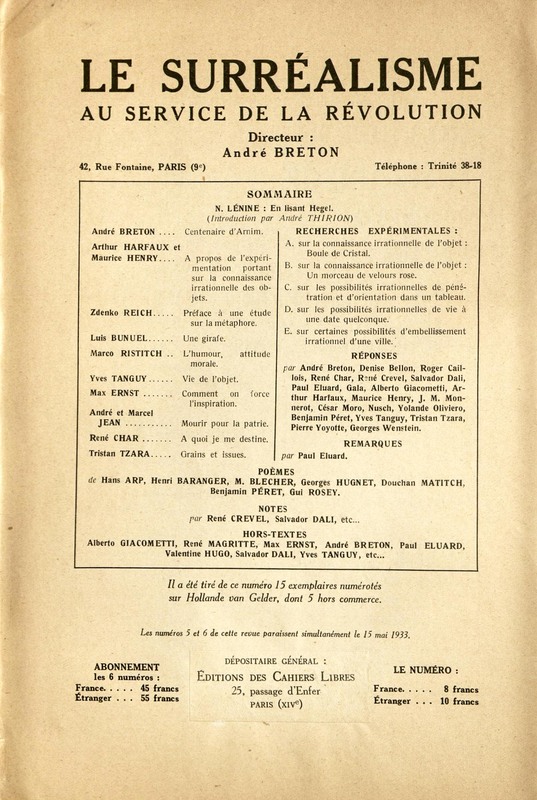 In 1930, Breton became director of a new magazine, Le Surréalisme au Service de la Révolution. 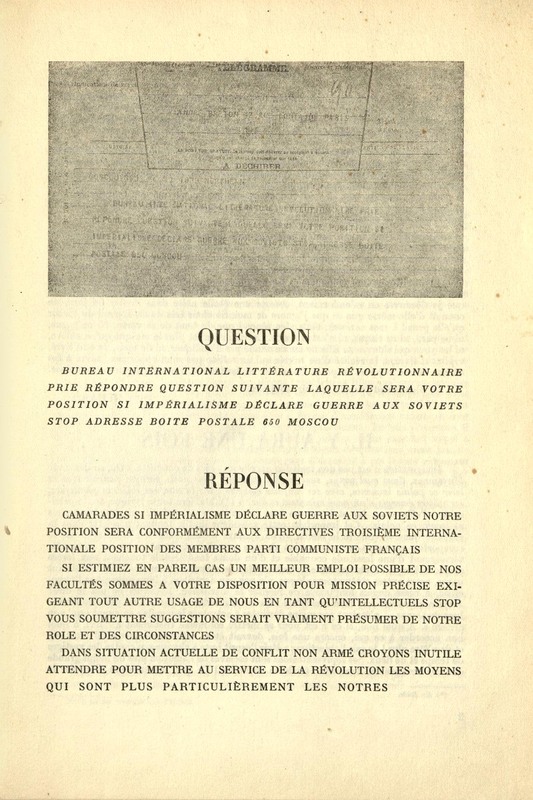 The first issue begins with an essay outlining how the surrealist movement would respond if "imperialism" declared war on Soviet Russia. 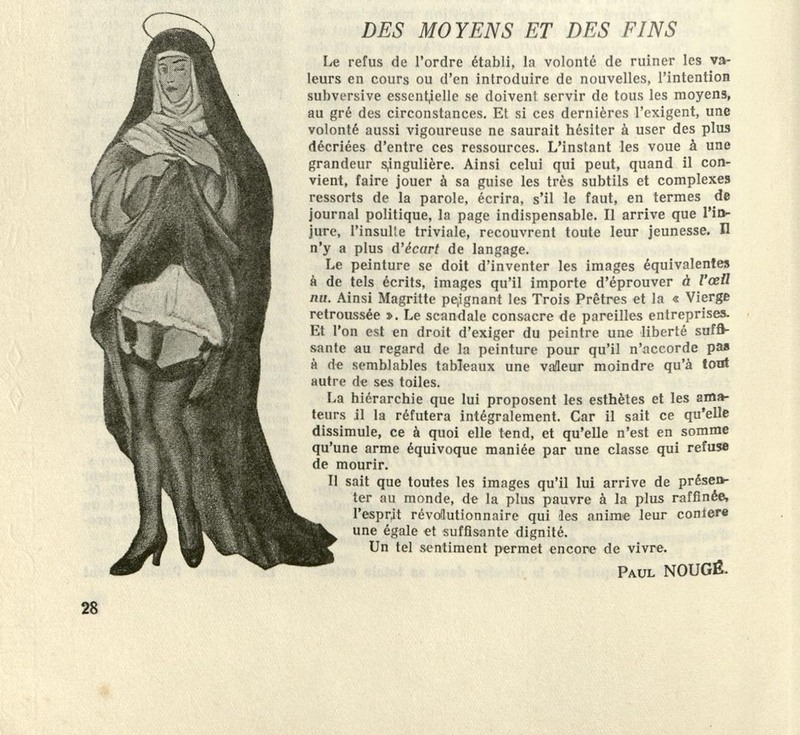 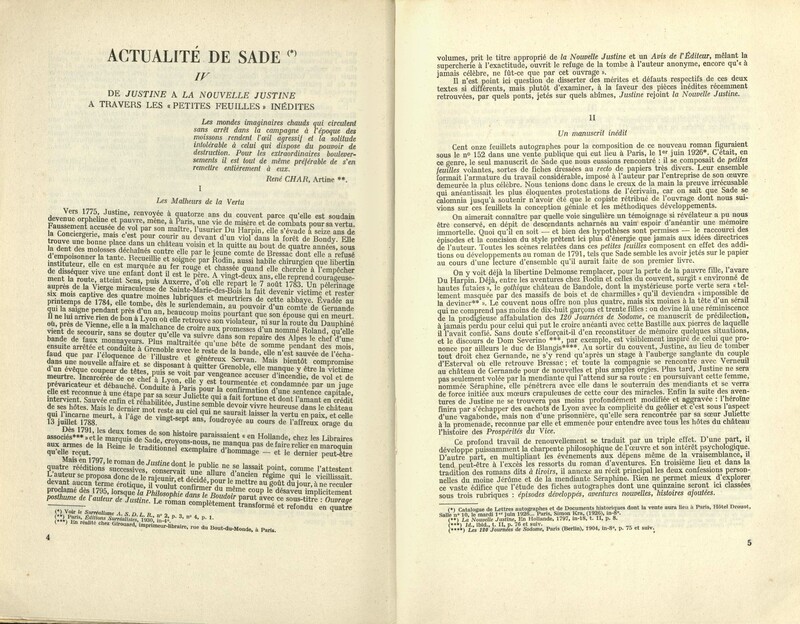 While the contents of this new publication took stronger and more obvious political stands on the far left, it continued to deal with topics such as the end of religion, suicide, sexual perversion, and more in articles titled "Athéism et Révolution" (Atheism and Revolution), "Actualité de Sade" (de Sade's News), and "Des Moyens et Des Fins" (Of Means and Ends). 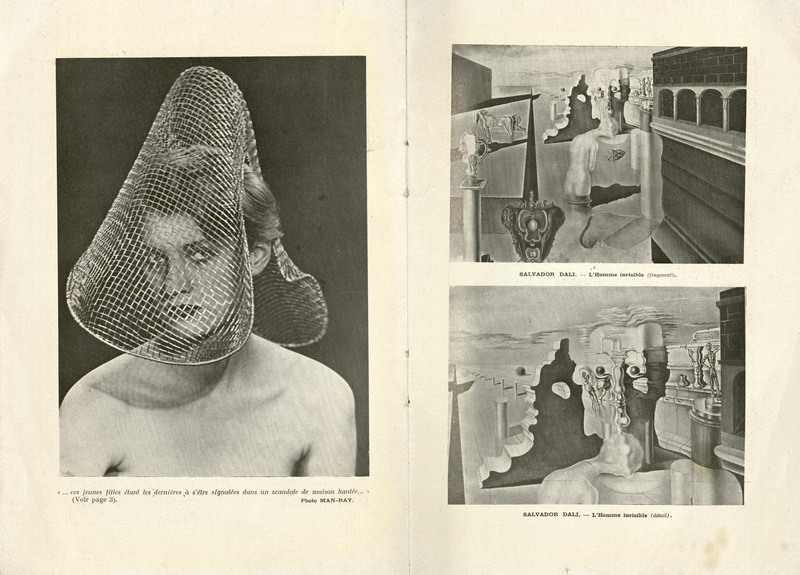 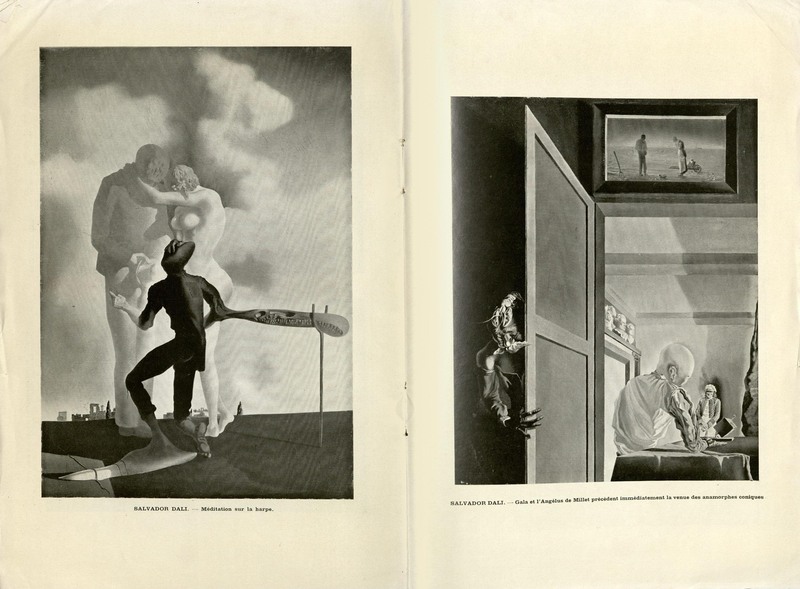 The final pages of each issue consisted of reproduced works of art by Dalí, Ernst, Magritte, Man Ray, Buñuel, and others.